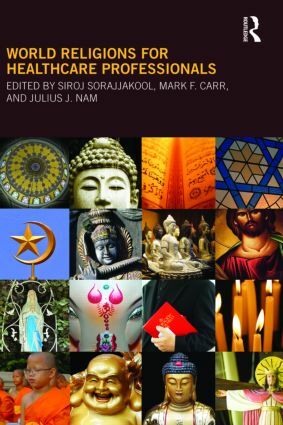 World Religions for Healthcare Professionals provides healthcare professionals with a basic knowledge of health beliefs and practices in world religions such as American Indian Religions, Buddhism, Christianity, Confucianism, Hinduism, Islam, Judaism, Sikhism, and Taoism as well as selected new religious movements. It explores how various religious traditions view sickness, health, birth, and death. Its primary aim is to offer healthcare professionals a greater awareness of beliefs and practices so that they will be better informed in providing effective care to patients from various religious backgrounds. Many deeply controversial bioethics issues such as abortion, euthanasia, assisted suicide, and stem cell research are also addressed in this volume from the perspectives of world religions. Written in a user-friendly fashion and easy to reference, this book is suitable for all health practitioners and organized in a way that will make it easy to search and learn basic applications.